"Keep a green tree in your heart and perhaps a singing bird will come," according to a Chinese proverb. Providing a birdhouse in your garden will help to keep birds close. 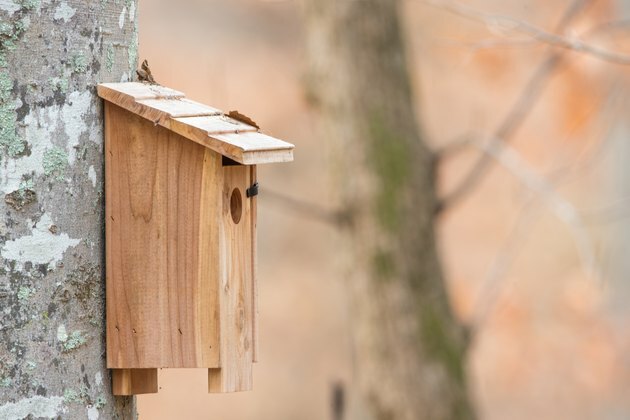 Simply putting up a birdhouse, however, may not be enough to attract the attention of new feathered friends, but you can entice them by following a few simple tips. Roughly 80 bird species nest in nooks and fissures, making them potential guests in your birdhouse. The needs of those species vary, however, and so it is important to know what kinds of birds visit your region. Then you can tailor the birdhouse's style, size and location to fit your flying neighbors perfectly. Also be aware of aggressive species, including house sparrows and European starlings, so you can include measures to protect the birdhouse's inhabitants from them. 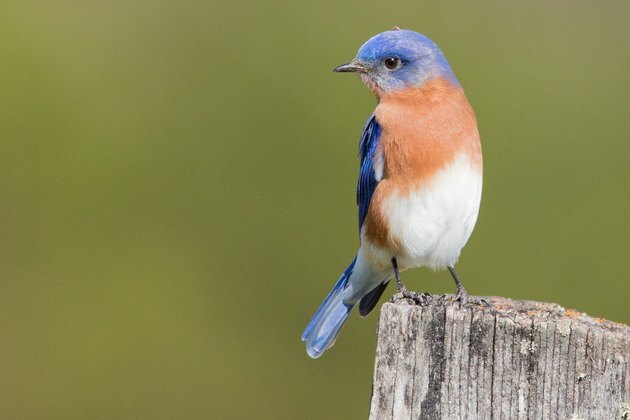 Generally, a small bird needs a small birdhouse while a larger bird needs roomier accommodations, but consider more than just the birdhouse's size. Some birds, such as house wrens, prefer single-family houses, and others, including purple martins, are more for apartment dwelling. Using some common bird preferences will make the house attractive to many birds. For example, offer a birdhouse without perches but with an overhanging roof or other type of predator guard. 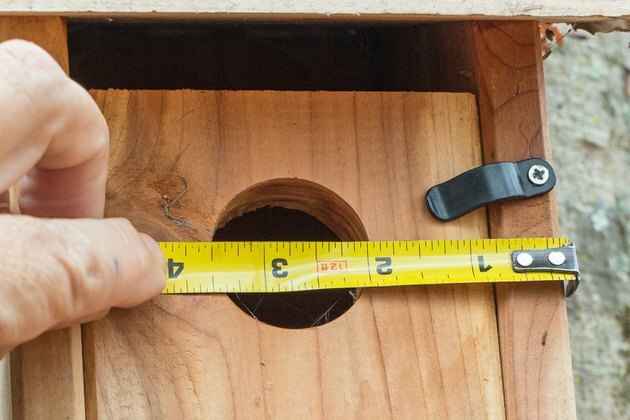 Ensure that the house's entry hole is the proper size for the type of bird you want to attract, but it should be 1 3/8 inches or smaller to keep out aggressive sparrows and starlings. Keep the birdhouse residents comfortable by drilling drainage holes in the house's bottom, by using thick walls for insulation from temperature extremes and by adding ventilation holes to the house's sides for air flow. Also, a birdhouse with a hinged roof makes your task of removing old nesting materials simple; even birds don't want to live in what other birds left behind. Where your birdhouse is situated plays a big role in whether or not birds will move into it. Some species want to be surrounded by wide, open fields while others prefer a house close to a pile of brush or trees and bushes. 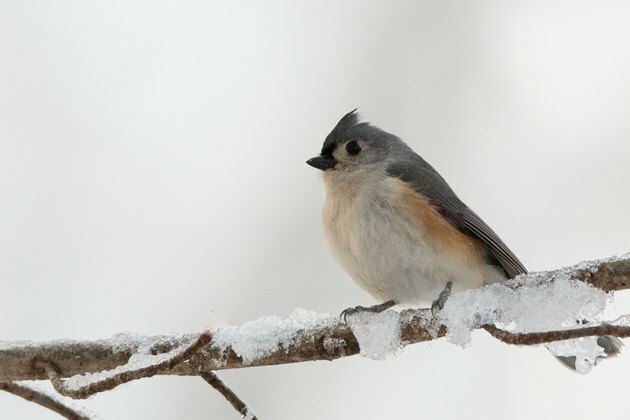 Chickadees, for instance, like to be near a stand of trees, and bluebirds want to face an open field. The birdhouse needs to be away from areas in which you and/or your neighbors use herbicides or pesticides, and the house should be secure enough on its post to withstand strong winds and other severe weather. Know the preferred nesting height for your potential bird guests as well. For example, house wrens nest in birdhouses 5 to 10 feet above ground while purple martins want their birdhouses to be 10 to 20 above ground and painted white. Southern U.S. birdhouses should be prepared and in place by February. In the colder North, birdhouses should be cleaned out and mounted by mid-March. 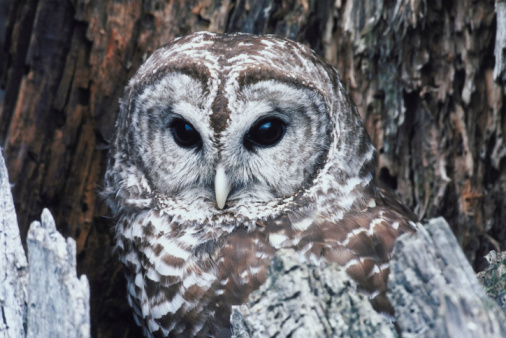 Provide nesting materials near a birdhouse, but do not place them inside the house. 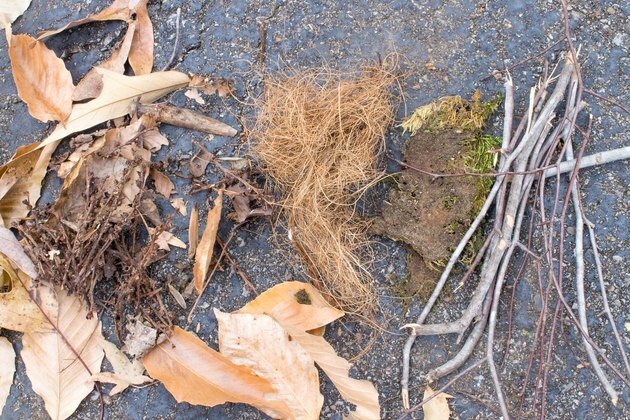 Chemical-free straw and dried grass, pet or human hair, moss and bark are among birds' nest-building supplies.